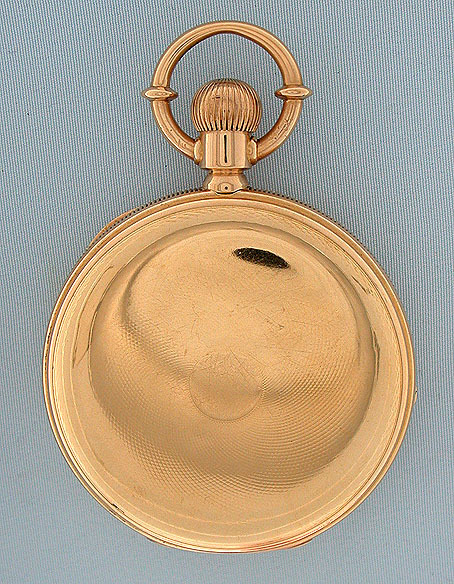 Fine Lange 1A German 18K gold antique pocket watch circa 1876. 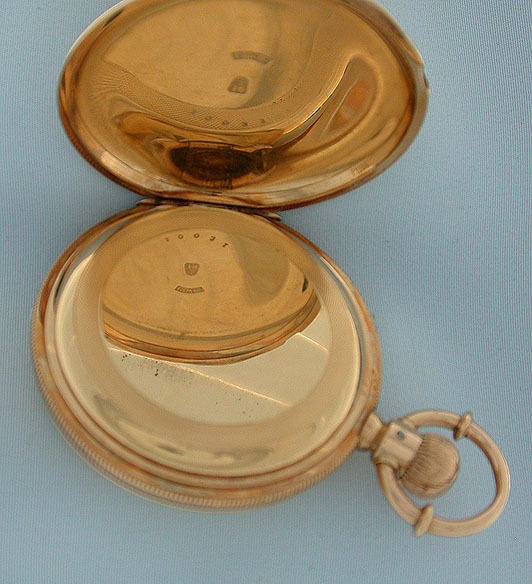 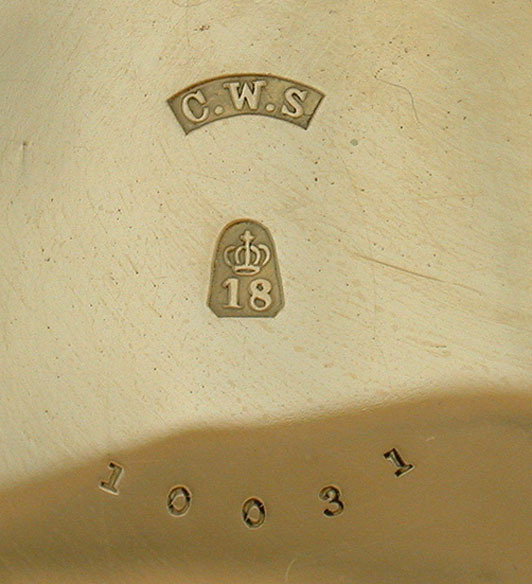 Heavy gold hunting case with coin milled band and traces of the original engine turning. 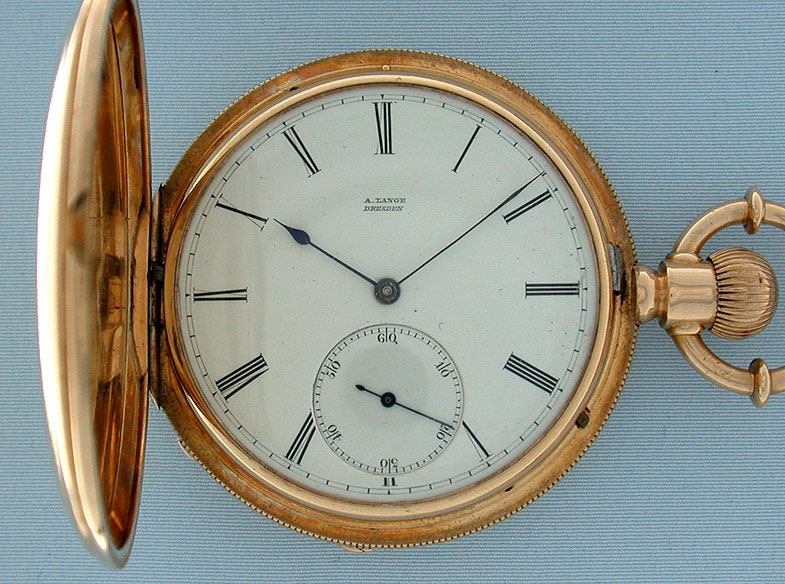 White enamel dial (several short clean hairlines) with blued steel hands. 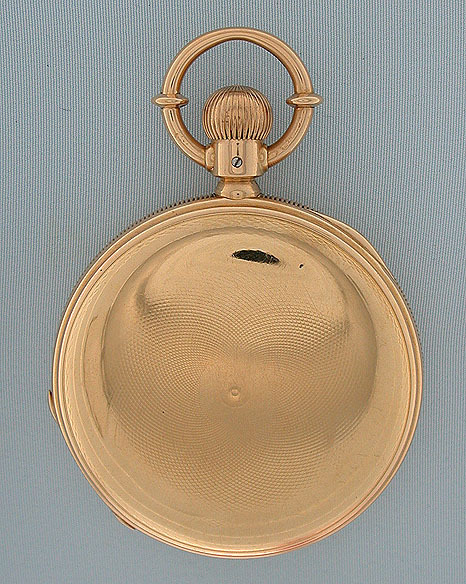 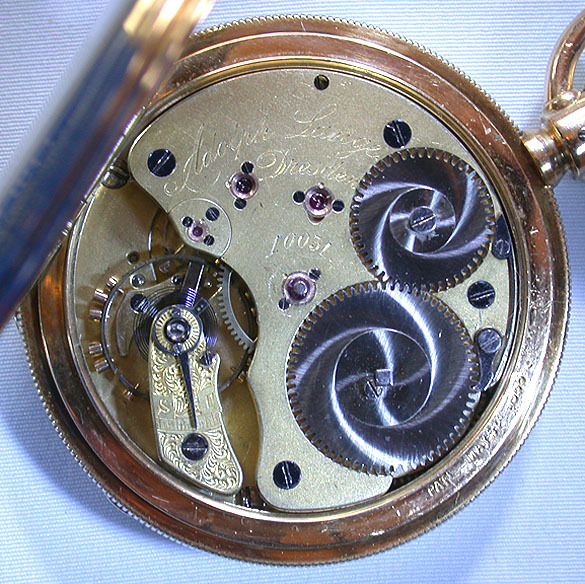 Gilt 3/4 plate 20 jewel movement with screwed gold jewel settings, gold pallet fork and escape wheel, and diamond cap jewel.